Not only a company should consider what type of steel material is going to be used for an enclosure, they should also consider what types of seals their enclosures should have. Seals are meant to keep what’s inside in the enclosure and keep ingress form happening from the outside of the enclosure. 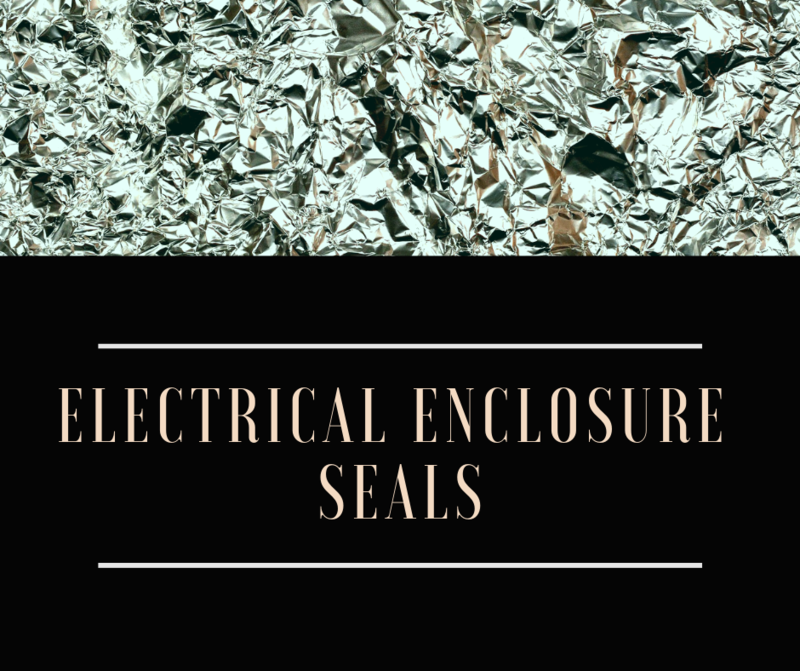 Most of the time, there are 4 popular types of sealing gaskets used for electrical enclosures – bulb extrusion, form-in-place, die-cut, and strips. Let us discuss what gaskets does for an enclosure. Gaskets are the primary requirement to help seal electrical enclosures. This standard and requirements are set by the National Electrical Manufacturer’s Association (NEMA). The ratings set by this organisation are from NEMA 1 to NEMA 12. For the majority of indoor applications, the mostly used ratings are 12 and 13. For outdoor applications, the most common are 3, 4, 4x, 6, and 6P. NEMA ratings for electrical enclosures are important because they determine the level of protection each of the enclosure provides. This will also help the manufacturer as well as the company in need of the enclosures to clearly set the guidelines they need for electrical enclosure. With these guidelines however, customisation is not limited. A company can produce customised enclosure without jeopardising the NEMA ratings set. It is important to note that the gasket design is also as important as choosing the right material for any enclosure type and the material used for forming the gasket itself. The design contributes to the overall effect on performance, efficiency, aesthetics, and functionality. When there is a need for customised enclosure, gasket design & material should be carefully considered. Gasket design in an enclosure is as critical in forming a good seal as the gasketing material itself. Design will have a significant effect on functionality, aesthetics, and overall performance. Stripping – this gasket type is usually provided in rolls of material slit. The measure and sizes can be specified and cut to desired length of the assembler. The low-scrape rate of stripping gaskets makes it cost-effective. But, it is important to note that there is a possible wear and leakage around the corner seams if this is not assembled and designed efficiently. Die-cut – regardless if material is cut through laser, water-jet, or steel-rule die, die-cutting removes the corner seams. This method is the most popular when a complicated design does not allow provisions for stripping. Also, if the design’s overall size will not produce a large center scrap that can be solved by designing a “fold-out” gasket, die-cut process is required. Form-in-place – this process involves applying elastomer in liquid form directly to the enclosure. The elastomer liquid foams and then formed in room temperature. This method is cost-efficient especially if the enclosure design has complicated gasket design that cannot allow die-cutting because it can result to a significant yield loss. Bulb Extrusions – this gasket design can be produced by using elastomers that are very durable. Extrusions by definition can be designed for environmental resistance or abrasion. The sides of bulb extrusions has skinned surfaces, making it very dense and minimises possibility for water ingress.